The Loran Group was formed as a collaborative between thought leaders with over 150 years of combined experience in medicine; specialty pharmacy and home infusion; clinical technology; and post-acute alternate site care. Our goal is to leverage our breadth and depth of experience and develop customized solutions to meet the challenges our clients face in today’s every-changing healthcare landscape. Our name, LORAN, is an acronym for LOng RAnge Navigation. 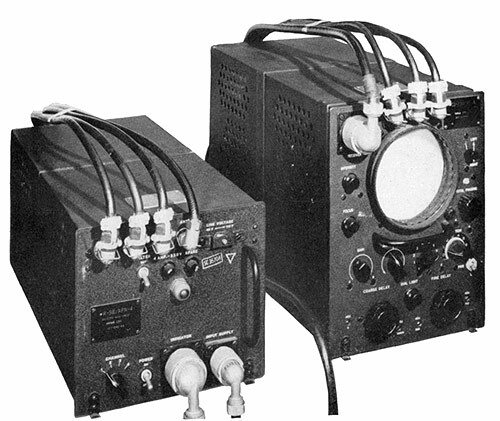 A radio navigation system developed by the United States Navy during World War II. The name was suggested by one of our founding partners, Retired Navy Captain John Derr. It effectively describes our commitment to provide guidance as we search for and discover best-practices for each client in a health care environment where providers face new challenges each day in the form of patient expectations, limited resources and from ever-evolving payment systems. In a hyperbolic system, aircraft or ship receivers pick up radio signals emanating from one or more pairs of radio stations often hundreds of miles apart. Time delays between signals of the paired radio stations allowed the plotting of lines in the form of hyperbolas (arcs) that provide precise location when intersected. The LORAN system was highly impactful during World War II. A land-based hyperbolic (see side bar) navigating system, LORAN operated at lower frequencies than other available systems and provided an improved range up to 1,500 miles with accuracy of tens of miles. This was desperately needed because of the enormous distances and lack of useful oceanic navigation points. LORAN was initially used for ship convoys crossing the Atlantic Ocean, then by long-range patrol aircraft. It ultimately found its primary use on the ships and aircraft operating in the Pacific theatre. The enormous distances and lack of useful navigation points in the Pacific Ocean led to widespread use of LORAN for both ships and aircraft during the Pacific War. The improved accuracy offered by LORAN allowed aircraft to reduce the amount of extra fuel they would otherwise have to carry to ensure they could return to their bases after long missions. Reducing the fuel “weight” meant that the aircraft could carry an increased bomb load. By the end of World War II 72 LORAN stations were in service, sending signals to over 75,000 receivers, significantly improving navigation efficiency and accuracy and no doubt impacting the outcome of the war. Similarly, the Loran Group is focused on helping healthcare providers navigate today’s ever-changing healthcare storms – all the while looking to the horizon to be best prepared for the inevitably changing tides. Just as the initial LORAN system provided clearer direction, our team works with healthcare providers at all levels to provide guidance and direction, allowing them to maximize their efficiencies and improve their resource utilization, thus improving care and outcomes while reducing costs. The Loran Group works with providers, hospital administration and frontline clinical teams to evaluate current processes, emphasize strengths and identify opportunities to improve current policies and procedures. We then design “best practices” implementation recommendations, including effective post-acute care network utilization. These efforts are driven by the goals of improving patient care and satisfaction, reducing unnecessary resource utilization, minimizing costs, and maximizing return on investment. Furthermore, they support the Institute for Healthcare Improvement’s stated “Triple Aim” – improving the individual experience of care, improving the health of populations, and reducing the per capita costs of care for populations. As we continue to navigate the fast moving waters of change that is our healthcare system, we believe that there is no substitute for experience. There is no substitute for the Loran Group.